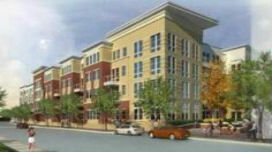 680 Eye Street Residential and Riverside Baptist Church projects are both being developed by PN Hoffman, the client. Two facilities are being built. A 10 story residential apartment building with about 170 apartments of approximately 153,000 square feet, a 3-story church with chapel, assembly and ancillary offices, with floor area of about 13,300 square feet. Architects for the Church are GBR Architects and Studios M designed the residential mid-rise. MEP Engineers for the church is Jordan and Skala, and for the residences, MEP engineering is by Potomac Energy Group. 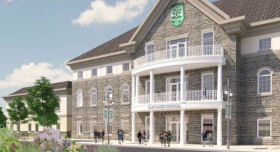 As Phase 1 of a multi-phase project, the new school is designed as a three-story Manor House with flanking classroom wings. With over 70,000 SF, the new campus includes athletic fields, a chapel, science labs and music rooms among other state of the art facilities. CPM Scheduling conducted commissioning for this under the direction of APM. Completed in September 2017. 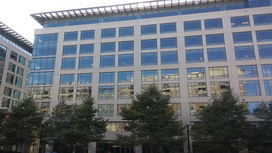 Mixed-use commercial campus on the Washington, DC waterfront. 17,000 sf in two buildings is in our commissioning scope of work. The project was designed to achieve LEED Core+Shell Green building certification. Hoffman-Madison Waterfront is the developer, Studio MB is the architect and Balfour Beatty is the general contractor. Completion expected in spring 2018. 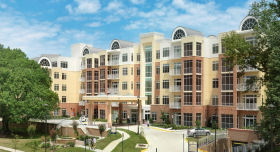 Vinson Hall Retirement Community is located on 20 acres in McLean, VA. VHRC is undergoing a multiple phase expansion program and adding a New 5-story Independent Living Apartment building. 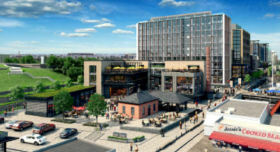 The building will have a green roof for both its environmental features as well as providing a more aesthetic view from the Existing Independent Living Apartments that rises a story above it. The New Apartments will feature nine-foot ceilings in all living and bedroom areas, 14-foot vaulted ceilings in top floor living rooms, crown molding in foyer, great room and dining rooms, screened porches and balconies/patios in most residences, hardwood flooring in foyer and great room, and optional gas fireplaces. Goodwin House Alexandria Center of Excellence “Small House” Care Center (seniors) facility. 86,000 square feet. LEED silver. The first floor includes a 10-bed “homes” where residents with Alzheimers or dementia can feel confident, secure, and comfortable. The second through fifth floors have two 10-bed assisted living houses. This new facility has 40 underground parking spaces and an extensive green roof. Advanced Project Management was the program and project manager. EZ Storage facilities are state of the art, cost efficient and strict energy efficient designs. They are using a multi-story protoype which minimizes impact on developed areas and visually blend with the surrounding areas . HVAC and lighting are designed and operated to be the most energy efficient. 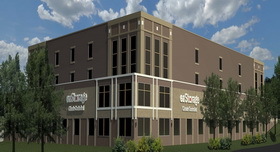 EZ Storage is prepared to serve more customers in three new locations under way as of November 2016, where CPM Scheduling is the commissioning agent: Columbia, MD, Burtonsville, MD and Alexandria, VA.
2235 Shannon Place SE is a 5 story , 82,000 square foot office building built to suit for several District of Columbia agencies, such as deputy mayors office, taxi licensing bureau, municipal courts and the DC Lottery. Designed by PGN Architects, and engineering by Mechanical Design Group. Four Points, LLC operates the building for Curtis Investments, owner. LEED–CS and LEED-CI Commercial Interior Gold certifications are anticipated. CPM Scheduling is the Commissioning Agent for both CS and CI. This project was occupied in fall 2015. Paul Public Charter School is a renovation of 100,000 square feet in an existing school with a 30,000 square foot addition. Turner Construction was the general contractor for this project. Designed by Shinberg-Levinas Architects and Setty Associates , MEP engineers and featured in Architect magazine. Friendship Technology Prep Academy is a public charter school in the District of Columbia. This building includes 3 floors and a garage that total over 80,000 square feet. The project includes the following types of spaces: Cafeteria, Labs, Offices Classrooms and Conference Rooms. 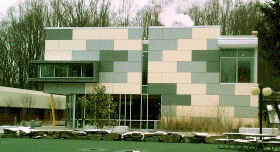 LEED for Schools 2007, Gold certification. 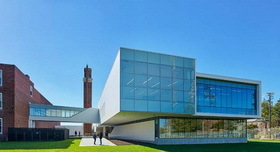 CPM Scheduling did LEED Enhanced Commissioning on behalf of the owners, Friendship Charter School. Architecture Inc. was the architect and Turner Construction executed the work. 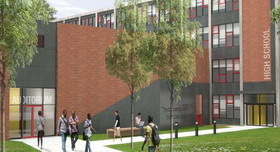 Maya Angelou Public Charter School is a renovation and addition to the existing school at 5600 Capital St NE. The project encompasses about 115,000 square feet. MEP systems tested included HVAC systems, associated building controls, lighting occupancy controls, and hot water systems. 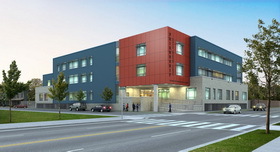 The project meets LEED for Schools 2009 certification levels. This was a design-build project with tight time and space constraints. Building Owner /Operations will be by “See Forever Foundation”. Program Managers Jair-Lynch, Architects Studio 27 Architecture, Consulting Engineers Metropolitan Consulting Engineers , and contractor Forrester Construction. Northeast Triangle Dormitory, Georgetown University in Washington, DC is an innovative 8 story building, 64,000 square feet, designed to meet LEED Gold or Platinum. 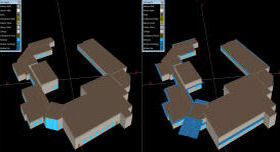 It includes residential rooms, common areas and dining. Building is connected to campus steam and Chilled water. Systems being commissioned include Dedicated Outside Air Units with exhaust heat recovery, steam to hot water converters and pumping, fan powered terminal boxes, the building automation system, hot water, lighting, and emergency power transfer. Veterans Administration Medical Center, OIF/OEF Welcome Center Addition was designed by Ewing Cole, and constructed by Summit Construction, is a renovation /expansion of the existing main lobby to the medical center. MEP systems to be tested include air handling units, fan powered VAV zone terminals, steam to hot water heat exchange, heating hot water piping, dedicated outside air handling units with exhaust energy heat recovery, domestic hot water heaters, and lighting controls. CPM Scheduling also provided consulting on infection control and plans. Completion scheduled for July 2016. 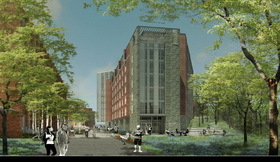 This building, designed by Tecton Architects, includes a health clinic, overnight infirmary, and a counseling center, and residences with common rooms, dorm rooms and apartments. Campus district steam, is used to make heating hot water. A dedicated outside air (DOAS) handling unit, with exhaust air heat recovery wheel, provides ventilation. A zoned VRV (variable refrigerant volume) heating and cooling system connects to individually zoned fan coils unit throughout the building. The Unity Healthcare Center in Brentwood, Washington, DC was developed and built by Harvey-Cleary, designed by Perkins and Will Architects and Integral Group, Engineers. Commissioned on behalf of Capital Project Management Firm, a 55,000 sf community health center encompasses three floors of a new core and shell. 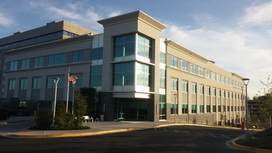 New Carrollton, Maryland Office Building, designed by MGMA Architects. GHT Engineers designed the mechanical and electrical systems. 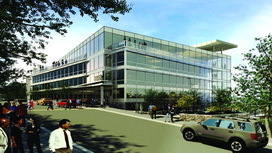 This 110,000 sf core and shell fitout for tenant Maryland state Department of Housing and Community Development . The owner/operator is Berman Enterprises. Completed in February 2015, LEED Silver certification is expected. 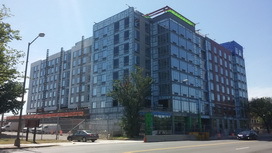 501 New York Avenue NE , Washington DC, to be completed in fall 2015, by BBG-BBGM Architects and Vanderweil Engineers, owner is Baywood Hotels. Full service hotel with all the amenities, including underground parking. LEED Silver certification is being targeted. Native Foods Cafe is a fast, casual vegan eatery now opening in major cities nationwide. CPM has completed the commissioning on several Native Foods Cafe stores across the country, incuding Washington, DC, Chicago, IL and Los Angeles, CA. 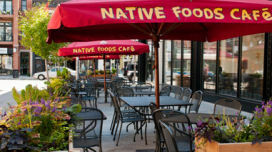 Native Foods is known for artisan, plant-based foods served in bowls, burgers, wraps, tacos, and specialty salads. Commissioning was completed by Dan Grahn. Shinberg.Levinas has been awarded the AWARD OF EXCELLENCE, the highest AIA Nova's award designation, for its project "Eagle Academy Public Charter School". The 2014 Design Awards Celebration took place on Thursday, June 12, 2014 in Washington, DC. Eagle Academy PCS at McGogney is a full renovation and addition to a former DCPS school. 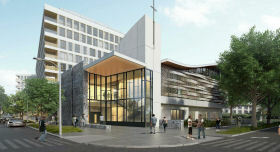 The 92,000 sf project accommodates 900 students. The new building exterior is composed primarily of polycarbonate multiwall sheets, creating a lantern effect and neighborhood icon. The addition houses a new gym and pool, while the renovation of the existing structure included the installation of new exterior glazing and interior transformation. CPM did the commissioning on this project. Parkside Health Center for Unity Health Systems in Washington DC is complete as of March 2014, and we expect LEED Silver certification. This 3 story, 40,000 sf outpatient health clinic was commissioned by Fred Matarazzo, Noel Susskind and Dean Oriend. CPM Scheduling wrapped up the commissioning on this project recently, for Arlington Partnership for Affordable Housing (APAH) in Arlington. Commissioning was completed by Noel Susskind and Fred Matarazzo. 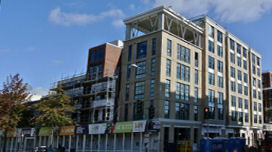 The YMCA is involved heavily in the U Street Corridor revitalization and has embarked on a full city block redevelopment. Included in this project is a 44,000 square foot fitness facility and community center consisting of a swimming pool, exercise studios, and a two story indoor climbing wall. 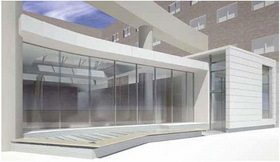 The community center portion will include meeting rooms, daycare facilities, demonstration kitchen and rooftop terrace. CPM as a subcontractor to Advanced Project Management, Inc. performed quality assurance services for the Mechanical, Electrical and Plumbing portions of the project. 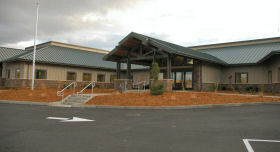 The USDA's New Supervisor’s Office in the Klamath National Forest is a 65,000 sf single-story office building in Yreka, CA, along the California /Oregon border. 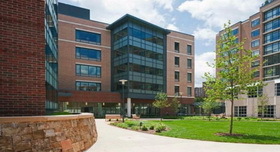 The building boasts several energy saving systems, including motion detector and daylight harvesting lighting controls, Multi-zone Variable Refrigerant Flow (VRF) system (25 indoor fan coils connected to a pair of outdoor heat pump units), and a dedicated outdoor air supply unit with energy recovery unit. A Building Management System (BMS) provides a graphical user interface that ties the HVAC systems together to allow energy saving strategies like scheduling and temperature reset as well as maintenance options. Individual wall mounted thermostats control the heat pumps. These units serve both individual offices and common areas. A single refrigerant system connects all of the FCU’s and HP’s together and has the ability to heat and cool different zones simultaneously. 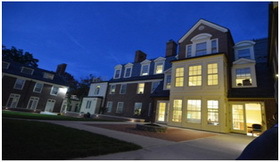 The new child care facility for the Naval Academy just completed December 2011, LEED –NC v2.2 Silver applied for. This is steel and masonry design includes geothermal heat pumps, a two pipe loop, boiler, dedicated outside air system with air to air heat recovery, radiant floors, kitchen hood, emergency power, occupancy sensor controls and state of the art surveillance. Foulger-Pratt and Hascon were prime contractors on this design-build project. Iberville East Math Science and Arts Academy, St Gabriel, LA has a new 53,000 sf K-12 school intended to meet the highest international levels of design, materials, and execution. 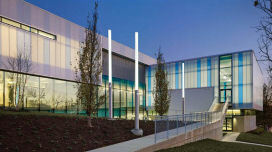 CPM provided energy modeling and commissioning to help achieve LEED-NC Silver certification. A 30% energy reduction below ASHRAE 90.1-2007 standards is expected. This was the first LEED project for the team and it went smoothly, thanks to the professionalism of those at Guy Hopkins Construction and The Energy Group. 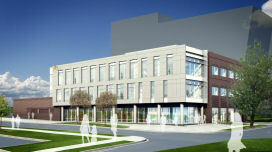 A new science building on campus with expanded science labs will serve middle and high school students. Approximately 15,000 sf including labs, prep rooms and support space. 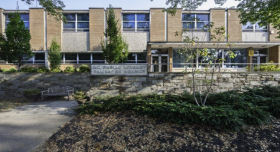 This serves as an example of the German School’s commitment to good design and energy efficient building, with a key objective to achieve LEED Silver Certification, under the LEED for Schools rating system. In doing so, it will also meet recently enacted Green Building requirements of Montgomery County, MD. 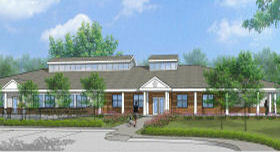 This new building will serve as a prototype for future upgrades to MEP systems around the Potomac, MD school campus.